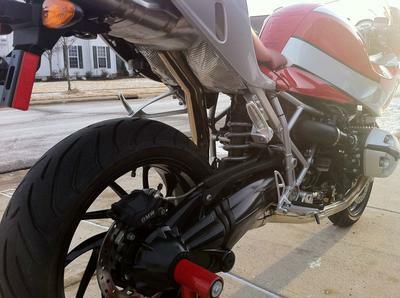 As you can see from the pictures, the Used 2007 BMW R Series Motorcycle for Sale has never been wrecked or down, never seen rain and never even water washed and the design of this bike is PURE CLASS! 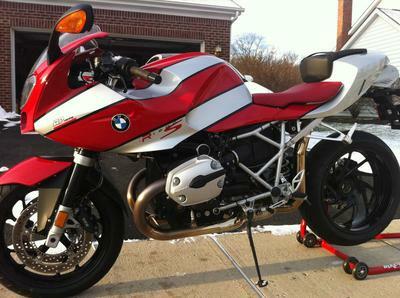 The bike is in stock condition and has only 4,515 miles on it. It has new front and rear Pirrelli Angel ST tires that were replaced in the summer of 2011. Since that time, I have put about 400 miles on them. The title is clear and the engine size is 1200cc. For more information and photos on the BMW feel free to contact me with your questions and offers using the space below that has been provided by Strike Lightning Used Motorcycles for Sale (and PLEASE do not neglect to include your contact information in your email or to provide a phone number or email address!) so that I can respond with answers to your questions or after consideration of your best offer as quickly as possible. 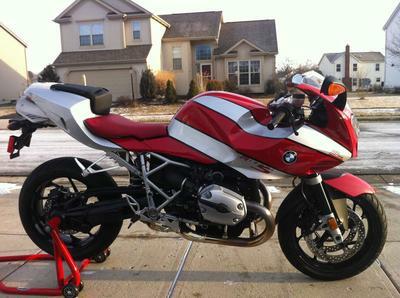 You won't find a nicer R-Series BMW motorcycle like this one for sale in Dublin Ohio, on Craigslist or in an Ebay auction so hurry and make an offer before it gets away from you! Strike Lightning would also encourage bikers to submit a review of the Used 2007 BMW R Series Motorcycle for Sale to make the biker community aware of any problems that are commonly associated with the bike or to highlight its positive features and help potential buyers make informed decisions.